Approximately 1 oz. whole heather flowers (Calluna vulgaris). 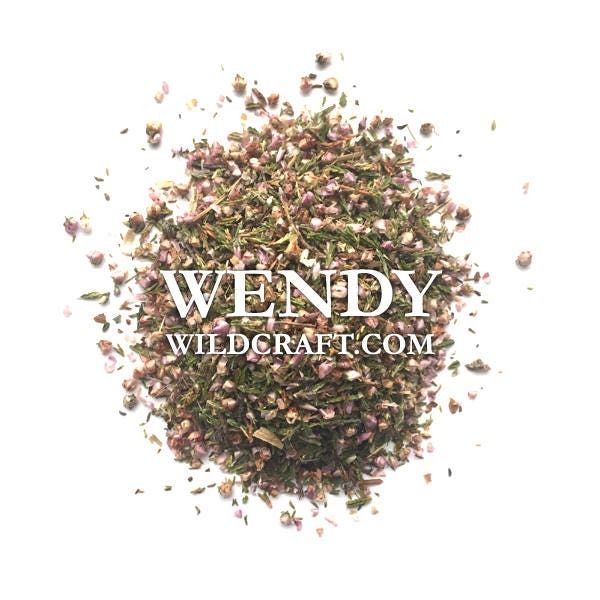 Dried heather can be used in herbal teas, homemade tinctures, soap making, potpourri, crafts and more. It's recommended to consult with your doctor before using herbal products. Such amazing quality ingredients! I could smell the freshness through the packaging, and sense it's power. Plus, the customer service is great!